WILMINGTON, Del. 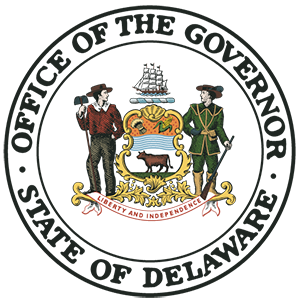 – Governor John Carney on Friday announced the appointment of Keith Hunt to serve as the State of Delaware’s first Chief Diversity Officer. Hunt will lead the state’s efforts to define and cultivate equity, diversity, and inclusion throughout state government. Keith Hunt will serve as Delaware’s first Chief Diversity Officer. Governor Carney signed the legislation in July 2017 to help confront issues important to state employees and improve the delivery of human resources services. Acting Secretary Johnson led a national search to select a Chief Diversity Officer candidate with a deep understanding of the complexity and multiple dimensions of diversity, inclusion, and equity. “I am confident that with Keith’s extensive Human Resources experience and proven success in the private and public sectors, he will work collaboratively with employees and community stakeholders to create a different and finer work culture for state government,” said Acting Secretary Johnson. 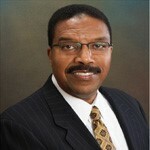 During his career, Hunt has helped translate business vision and strategy into organizational capabilities for success with a focus on business process improvement, people policy development, change management, people and team development, diversity and inclusion, and human resources talent management systems. “I am looking forward to joining the Human Resources team as we work in partnership with all the state leadership, employees, and key stakeholders in bringing about a diverse and inclusive workplace environment,” said Hunt. The appointment of a Chief Diversity Officer builds on Governor Carney’s efforts to confront discrimination. In April, as a result of Governor Carney’s Executive Order Six, a uniform anti-discrimination policy across state government was established to allow state agencies to consistently respond to reports of discrimination, harassment, and retaliation in the workplace. The Action Plan for Delaware, created by Governor Carney’s transition team, recommended the establishment separate Office of Human Resources, headed by Cabinet-level official, to give state employees a greater voice in decisions that affect them, to encourage diversity within personnel and of opportunity in the state workplace, and to ensure uniform enforcement of policies.